The GUAP Magazine collective have announced the fourth edition to their bi-annual talent showcase and party experience! The event currently exists to elevate emerging musicians, creatives, and industry professionals alike, encouraging them to embrace their craft and network with each other. 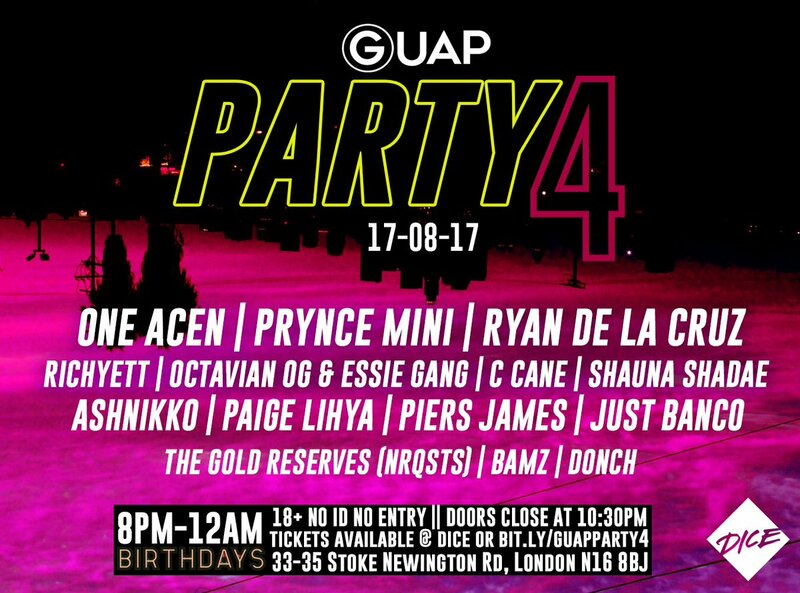 The GUAP party will be taking place on August 17 at Birthdays in London, with live performances from One Acen, Ryan De La Cruz, C Cane, Shauna Shadae, and more! So come down and mingle with like-minded creatives who aspire to empower each other, whilst supporting some of the hottest talent.